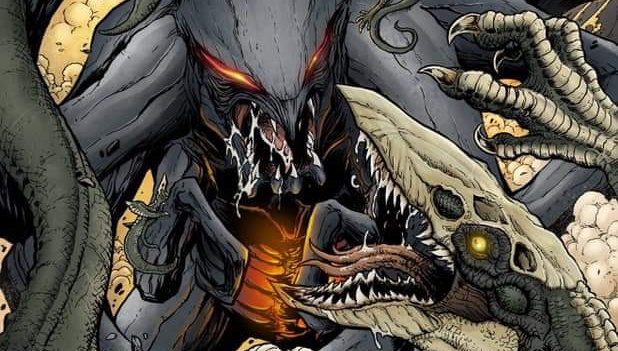 Fan Art Spotlight: MUTO vs. Skullcrawler Monsterverse Titan Brawl! It's about that time we feature some new Godzilla fan art worthy of recognition. 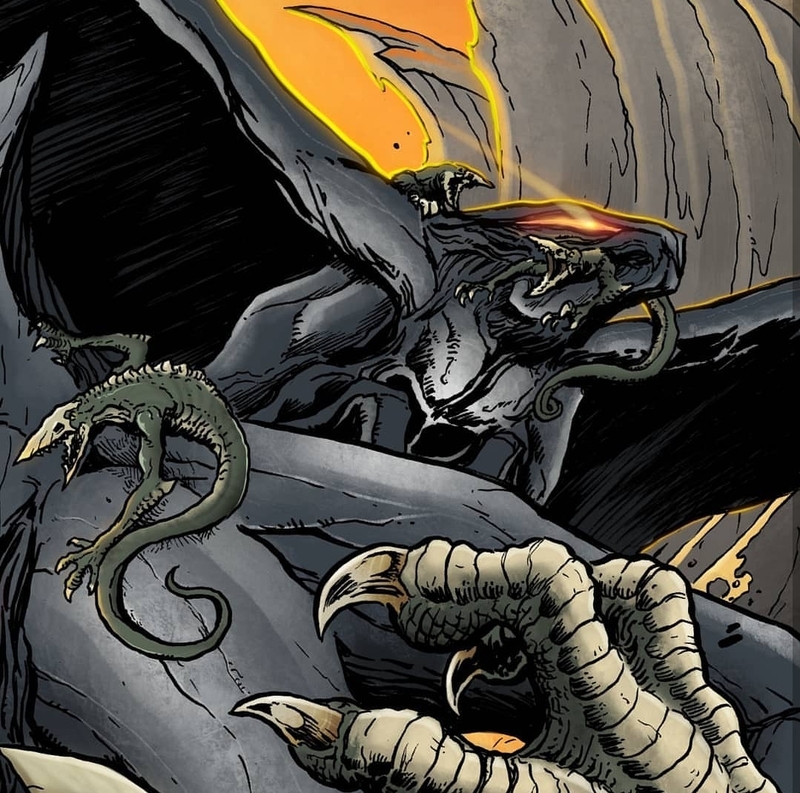 Fan favorite Matt Frank teamed up with Christian Gonzalez (color) to create the debatable clash between Godzilla 2014's MUTO and Kong: Skull Island's Skullcrawler! Both Kaijus exist in the same shared Monsterverse universe, but in film, the MUTOs dramatically outweigh the Skullcrawler in stature. However, if a Skullcrawler ever grew to the size of an adult MUTO, it's tough to say which Titan would come out victorious! Check out the phenomenal new fan artwork below and let us know who you think would win! MUTO or Skullcrawler? Sound off in the comments! 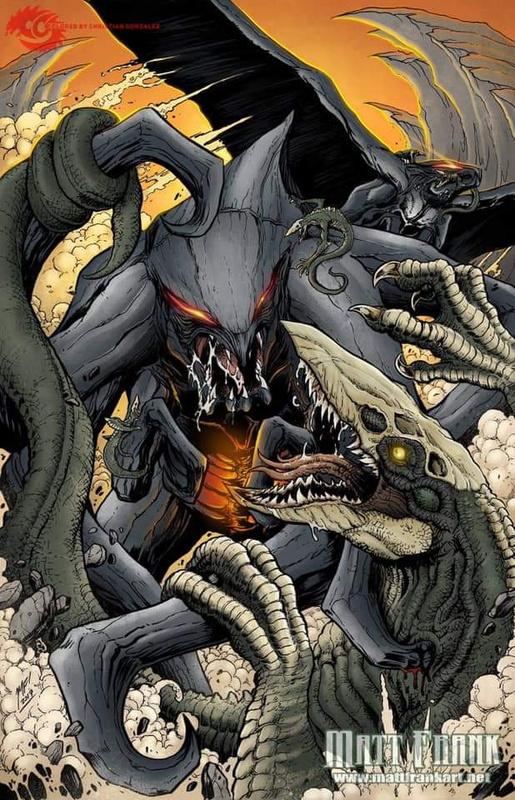 8 Fan responses to Fan Art Spotlight: MUTO vs. Skullcrawler Monsterverse Titan Brawl! Awesome. The Muto would win. I'm pretty sure the Skullcrawlers are smaller than that. It looks awesome. The MUTOs win just due to their higher intelligence, durability, size, and mass. Plus they're used to fighting monsters similar to (If not, better than.) the Skullcrawlers. Only size grants the MUTO victory. That said, the MUTO’s of Godzilla (2014) held the upper hand against Godzilla because of teamwork until human interference; however, prior to the giant Skullcrawler of Kong: Skull Island experiencing human interference, it handled Kong better on its own than the MUTO’s could against Godzilla. As for the artwork, it looks great. Draegar: The Hooded Figure I agree with you on every point except for one thing: the emphasis of teamwork over being alone. In a 1v1, the Skullcrawler could win, but bring in both the male and female MUTO, and it's all over for the Skullcrawlers because they don't rely on coordination while the MUTOs do. Add the babies, and the Skullcrawlers can kiss their existence goodbye.